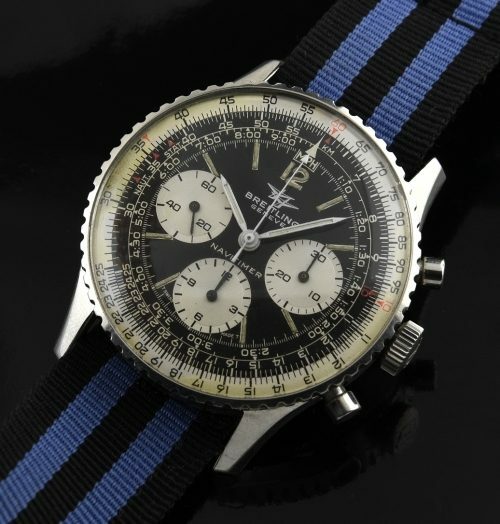 This is a one owner 1970 BREITLING NAVITIMER in stellar overall original condition. The entire watch is original….hands, dial, case, crown…all beautiful. The Venus caliber 178 manual winding movement is accurate and flawlessly running-shimmering. The bevels are still decently sharp on the lug edges. The case back snaps tight and firm with hardly a gap. The turning bezel still hugs firmly. You will be extremely please with this example.